Cases Of Mysterious Valley Fever Rise In American Southwest : Shots - Health News Each year, an estimated 150,000 people in the Southwest contract valley fever. But doctors say they understand little about the fungal disease. There is no cure and no vaccine. Most cases are misdiagnosed or missed entirely. Emily Gorospe, 8, loves to dance and usually can't sit still, so her parents started to worry when she became very tired two years ago. 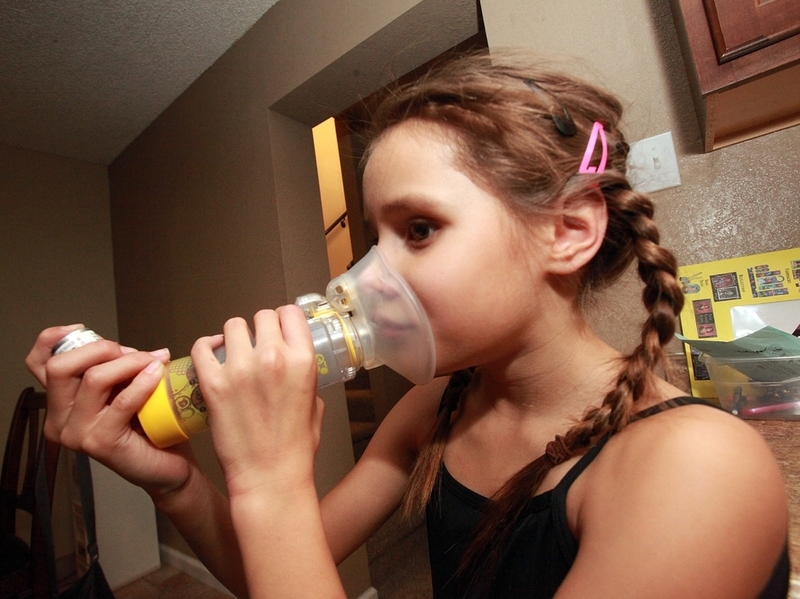 Emily was eventually diagnosed with valley fever, a fungal disease that 150,000 people contract each year. When she was just 6, Emily Gorospe became very tired and sick. The spunky girl, now 8, developed a fever that wouldn't go away, and red blotches appeared across her body. 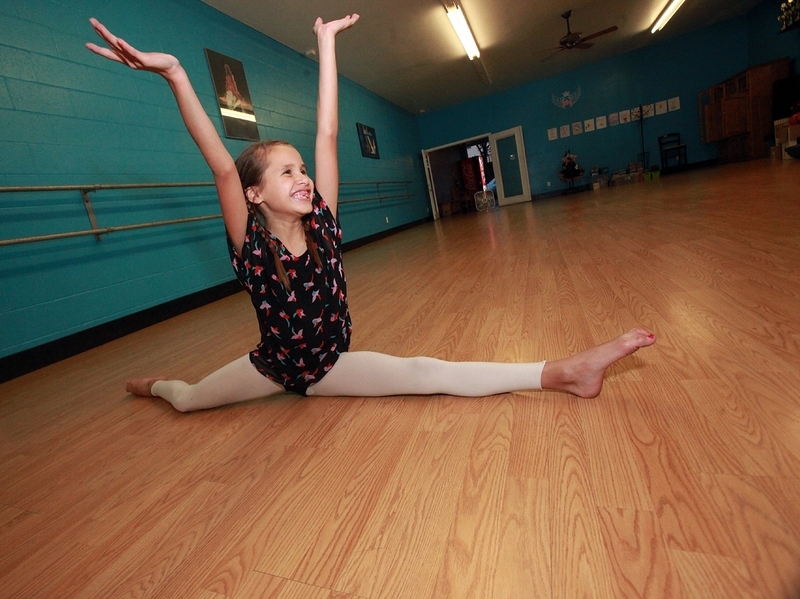 "She's got so much energy usually," says Emily's mother, Valerie Gorospe. "Just walking from one part of the house ... she was drained." The little girl was also very pale. "She just didn't look like herself," Valerie recalls. Emily, who lives in Delano, in California's Central Valley, was eventually diagnosed with valley fever, also known as coccidioidomycosis. She's one of an estimated 150,000 people nationwide who get the fungal disease every year. There is no cure and no vaccine. Valley fever is a fact of life in parts of California and Arizona. Tiny fungal spores live in the soil throughout much of this arid region. When the spores are disturbed, they can be inhaled into the lungs. James McCarty, the medical director of infectious diseases at Children's Hospital Central California, says most people feel nothing, or experience symptoms similar to the flu. Common symptoms include fever, night sweats, weight loss, chest pain, cough and sometimes skin rashes. Valley fever is caused by tiny spores that live in California and Arizona soil. When the spores are disturbed, they can be inhaled into the lungs, so people who work outside are at higher risk of contracting it. Valley fever can be a very serious disease for some people, McCarty says. It can spread from the lungs to other parts of the body, like the central nervous system, bones or skin. It can be life-altering or even fatal. "About five out of 100 patients will develop pneumonia," McCarty said. "Then in about one out of 100 patients, valley fever will spread outside of the lungs and go to other parts of the body." In recent years, valley fever numbers have soared so high that some health officials are calling it an epidemic. The disease has become a huge problem in California's prisons. The state is being ordered to move inmates at high-risk of contracting the illness from two prisons where the fungus is rampant. The Centers for Disease Control and Prevention says the total number of valley fever cases nationwide rose by nearly 900 percent from 1998 to 2011. Researchers don't have a good explanation for the dramatic increase. Even when accounting for growing populations throughout the Southwest, the numbers are still staggering. "What's really interesting ... is that the number of cases — the incidence of these cases — increased steadily throughout this time period, and really accelerated over the last few years," says Benjamin Park, a medical officer at the CDC. Relatively little is known about valley fever. No one knows how much exposure to the fungus it takes to contract the illness, or why some people die and others never know they have spores in their lungs. It's also unclear why the illness seems to strike African-Americans and Filipinos harder than the rest of the population. Researchers do know this: People who work outside — like workers in construction and on farms — are at higher risk. Todd Schaefer, a winemaker in Paso Robles, Calif., was running a bulldozer about 10 years ago. A few days later, he became very sick. I think if they had caught it early, it would not have been allowed to disseminate through my body and set up shop in my brain and spinal cord. Doctors said he had an ordinary form of pneumonia, and recommended that he go home and eat chicken soup. It took them a month to realize he had valley fever, and to start him on anti-fungal medication. By that time, the fungal infection had spread to his central nervous system. "I think if they had caught it early, it would not have been allowed to disseminate through my body and set up shop in my brain and spinal cord," Schaefer says. "That's the killer right there." 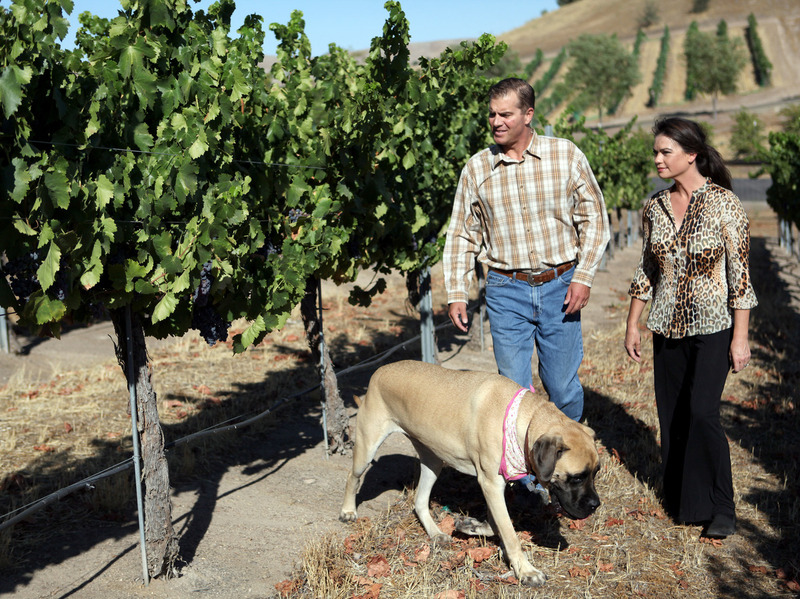 Todd and Tammy Schaefer walk through a neighbor's vineyard with their Old English mastiff, Daisy Ray. Todd was working in a vineyard when he contracted valley fever about 10 years ago and has since struggled with his health. Schaefer is 48; he'll take anti-fungal medication for the rest of his life. The medication has horrible side effects. One of the worst ones, for a winemaker, is that Schaefer can't drink his own wine while on the drugs. The drugs are keeping him alive, he says, but not necessarily healthy. The disease saps his energy and prevents him from working more than four or five hours a day. "It's an anti-fungal poison," he says. "It doesn't kill it. It just keeps it down to a low roar." McCarty says if the disease is caught early, physicians have a better chance of keeping it at bay. "We do see patients in whom there's been a delay in diagnosis, and we believe this leads to more complicated and difficult-to-treat disease," McCarty says. Researchers say most cases are misdiagnosed or missed entirely. That's in part because of a lack of training and attention in the medical community, and because the symptoms are so varied. Part of the problem is a lack of research and attention from policymakers. "Diseases that receive a lot of national attention tend to be diseases that occur in the East, and where they read about it in the [newspapers]," says Dr. George Rutherford of the University of California, San Francisco. But "diseases that don't exist in that belt really fall off the radar screen," he says, "and, unfortunately, valley fever is one of those diseases." Diseases that don't have a high profile also struggle for funding. Consider this: In the past 12 years, the National Institutes of Health has granted valley fever just 4 percent of the research funding it has directed toward West Nile virus. But valley fever has afflicted about four times more people than West Nile, with thousands more going undiagnosed. Valley fever has killed many more people, too. Since he contracted valley fever 10 years ago, Schaefer, the Paso Robles winemaker, has continued making award-winning pinot noirs. But even as his boutique winery prospers, his health is faltering. He's losing his memory, and the doctor expects he will suffer strokes and seizures in the future. "This disease is ... not a fairytale," he says. "It's an absolute nightmare." As the search for better treatments and, eventually, a vaccine continues, people throughout the Southwest United States will suffer from valley fever. This story was produced by KVPR as part of a series produced by the USC Annenberg Reporting on Health Collaborative.